I am not sure how common it is in your home country to visit an aesthetician (aka “beauticians”) to help you deal with your skin problems or even deeply cleanse your skin on monthly basis. Aestheticians are not dermatologists but they are trained to understand the basics of skincare, various skin conditions as well as the products they carry in their shops. In Singapore, there are many aestheticians who also branched into providing spa treatments and massages to their patrons. I visit my aesthetician once every month to deeply cleanse my skin and to unclog my pores (esp those that are deeply seated due to my oily t-zone). It is a lot cheaper than to have to go through painful lasers, IPLs, and pixel treatments. So how do you choose a good aesthetician for yourself? It is important for you to know you key skin concerns before shopping for an aestheticians. Expensive aestheticians may not mean that they are most able to address your skin concerns. Typically, if you trust word of mouth recommendations, it would be because the person who’d shared with you had certain skin concerns and it has been addressed effectively. 2) Do you have any specific expectations of your chosen aesthetician? For me, I will turn away from aestheticians whom try to peddle their products after my consultation. I have been to several aestheticians before and they tend to want to sell me their house products or try to have me purchase the products they carry. Personally, I am aware that I am sensitive to certain products, so I am selective about the products that I use. Some parlours went to the extent of insisting you buy from them, or that you take up session packages (e.g. S$x for y number of sessions). I am the type of customer who do not want to be tied down to one aesthetician so packages are out for me. Talk to people and ask them about their aestheticians! I still find word of mouth the best form of feedback because you will be able to speak with people who have first hand experience receiving treatment from the aestheticians. Find out what are your friends’ key concerns and whether they think their aestheticians have addressed their skin concerns. Of course, its also important to find out if the price fits into the size of your pocket. If all else seems to be palatable, you can try to arrange for 1 session with the aesthetician to find out if her skills and knowledge are suitable for you. You may end up trying a few aestheticians, but do make sure you give each aestheticians a fair assessment so that you can carry out a fair comparison after your trials. Sometimes, you may find that the aestheticians are more approachable, or the aesthetician likes to impose her views on you. A good aesthetician is one who will listen to your problems and work with you to resolve them. As the customer / client, it is of course, important that you have the right mindset before you walk into a parlour. This is to ensure you are fair to yourself as well as the service provider. As patrons, we need to have the right mindset when we are finding a good aesthetician to provide regular skincare treatment to our skin. Aestheticians can only provide one-off treatments when we visit them, so we are still responsible for taking good care of our skin on daily basis by eating well, sleeping well, and following the regime that is provided to us by our aesthetician. We should view aestheticians as providing that extra skincare step to and not attribute all problems to them without first reviewing if we have contributed to the skincare problem. Please be forewarned that your aesthetician should not be prescribing you controlled drugs such as antibiotics or roaccutane (if you are in Singapore). Some aestheticians may think that just because they manage to bring in the drugs, they can dispense to you. This is illegal and dangerous. Walk out that salon door if you are prescribed such drugs and report to the authorities in your country, such as Ministry of Health or Food and Drugs Administration. I have stayed with my current aesthetician, Face Essensuals, for the last 8 years. Do share with me how it has been with yours! Cleansing is important, so is exfoliation to remove older or dead skin cells on the surface of our skin. Both the process of removing and the removal of the dead skin cells are beneficial to our skin and health because the former helps to improve circulation (its like massaging your skin and relevant acupuncture points along with it); while the latter improves the absorption of skincare products and enables the skin to breathe more easily. Exfoliation is important. It supports the renewal cycle of our skin as the renewal process becomes sluggish as we age. Removing the old skin helps to maintain that renewal process, brightens our skin and enables the skin to perform at its best. You can find out more about exfoliation here. Most skincare experts and aestheticians will tell you that exfoliations should not be carried out too frequently. Depending on what you use, ranging from acids, to scrubs to dermabrasions, exfoliations can be as infrequent as once every month or twice a week. Exfoliation may be more frequent if very diluted compound is included in your facial wash – hence its important that you read the labels and monitor your skin condition closely before and after each exfoliation. I know I’ve blogged about Abidis Peeling A recently. It has helped to smoothen my skin and allows me to use it in the day time like a normal cleanser. However, considering the price, I still prefer to use Dr. Wu Special Treatment Intensive Skin Renewal Serum with Mandelic Acid or Cure from Japan. These two products are mild and they only remove the dead skin cells. I will post a review of Cure soon, but this has been a trusted product that I use when I find my skin to be rough or dry. I do not need to worry about it over exfoliating my skin because the product (which is water based) only reacts when it comes into contact with dead skin cells. I can use this product twice in a day without causing irritation to my already sensitive problem skin. There are many reasons for my skin outbreak, and I did notice that my skin renewal is not as efficient after I turn 30 and many times the acne will come out red and painful. I counteracted the problem with Clarisonic which provides some form of exfoliation whenever I use it. I also make it a point not to use Clarisonic when I have used or plan to use Cure to help remove the dead skin cells – to ensure I am not over exfoliating due to Clarisonic’s more abrasive tendencies depending on the amount of pressure exerted on the equipment. I will, however, use Dr Wu’s Treatment Intensive Skin Renewal Serum if I find that my skin is still rough after using Clarisonic, to enhance the exfoliation. As for frequency of exfoliation, I only do it when my skin feels rough despite the use of Clarisonic. However, I will not use the products every day or every alternate day because I do not believe in regular exfoliation even when the skin is in good condition. A bit of an overkill, don’t you think? In an article published by Mark B. Taylor M.D in 1999 issue of Cosmetic Dermatology, mandelic acid is “an alpha-hydroxy acid (AHA) named after the German mandel (almond) and derived from the hydrolysis of an extract of bitter almonds has been studied extensively for its possible uses in treating common skin problems such as photoaging, irregular pigmentation, and acne.” In an open trial investigation, it was “shown that mandelic acid is useful in suppressing pigmentation, treating inflammatory noncystic acne, and rejuvenating photoaged skin. Moreover it has proven useful in preparing the skin for laser peeling and in helping the skin heal after laser surgery.” I would recommend that you read this article for more information on Mandelic Acid before you go grab a bottle to try. What about your exfoliation routine? Did it help you address your skincare concerns? One day I walked into the Lush outlet at Orchard Gateway and asked for their best selling mask for problem skin. The sales person recommended the Mask of Magnamity. After a quick try of the product at the shop, I made the purchase and hope to do a review on this amazing product. 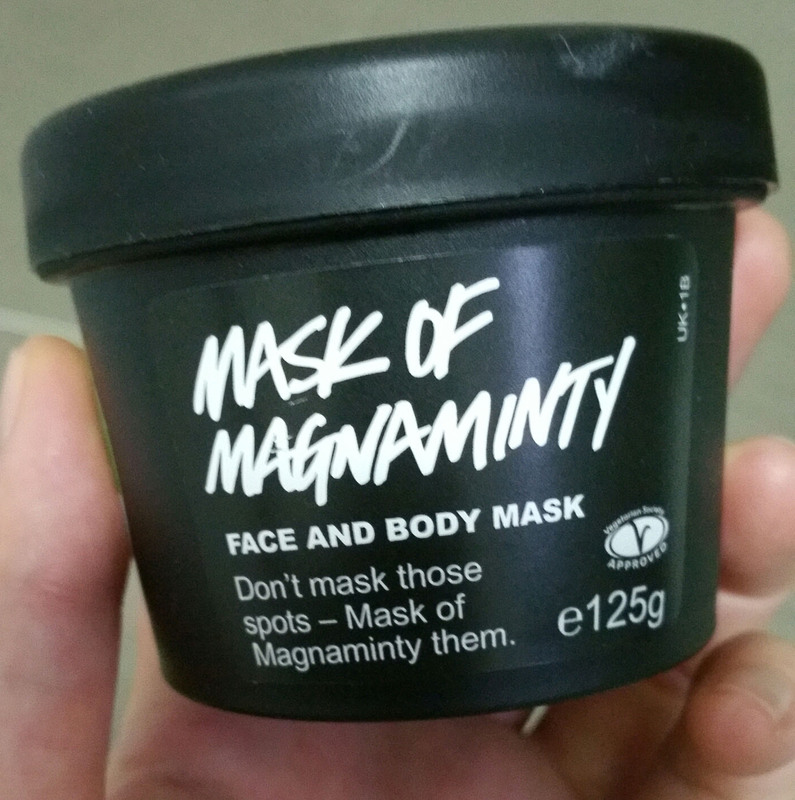 The sales person told me that there are two formulas for the Mask of Magnaminty. One is made without preservatives (i.e. shorter shelf live) and the other has some preservatives. The effects are the same (she said). So I asked about the one that I’ve just tested at the shop. She said that I was trying out the one with some preservatives (and I thought the effect was pretty good!) so I went ahead and bought the formula that I’ve tried (and knowing that I will take some time to finish the pot). The product is in bright lime green, and has a texture of mud mixed with chopped / course grains. I took a photo of the ingredients in the pot (made by Aga – thank you!). As you can see, there are ground beans in the mixture. That explains the grainy texture amidst the creamy mud like paste. The mask also smell of strong peppermint that wakes you up, and the feeling of cool mud on your face seems to tell your brain that any inflammation is now calmed and contained. You will notice that the methyparaben is used in the list of ingredients. The mask was not difficult to apply. I am aware of similar off-the-rack masks that could be hard to dispense. I was advised to spread gently on my face (avoiding the eye and mouth area) and to leave the mask on for 15mins to 20mins before washing off the product with room temperature or lukewarm water. 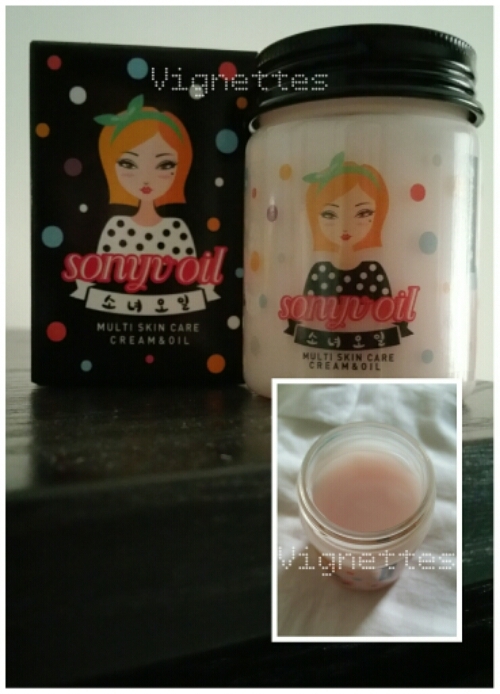 I had used this product after my usual cleansing routine (Facial Foam and Clarisonic). The skin looks brighter and calmer, and felt smooth and hydrated. The reddish patches (my skin is rather sensitive) also seems to fade. I had followed on with my toner and moisturizer right after this to seal in the moisture. Lush is available in several countries, including Singapore, Hong Kong, South Korea, Taiwan, Japan, New Zealand and Australia. I had noticed that most of its followers like their invigorating bath bombs. In Singapore, you can order from Lush Online Shop, or walk into their outlets in Orchard Road and some neighbourhood malls. Those of you out there who have been shopping in Sephora will know that the Laura Mercier Foundation Primer is the best selling primer. 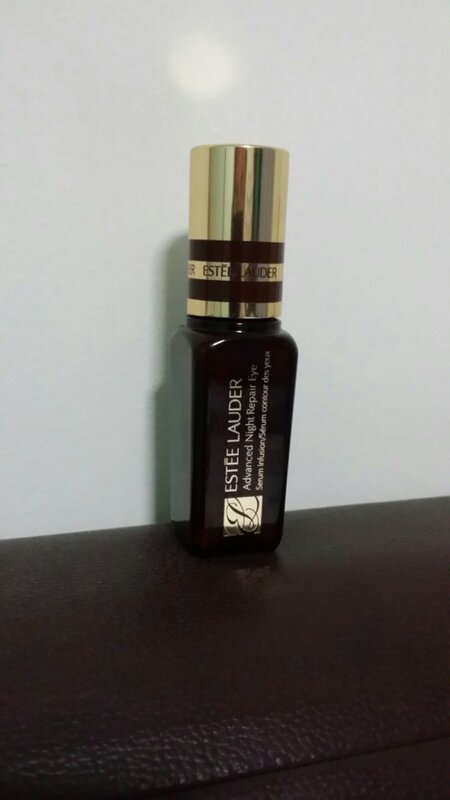 For a lighter version of liquid foundation, the tinted moisturizer will be recommended. I have combination skin so on days where my skin is not too inflamed, I will use the tinted moisturizer coz it does not provide a lot of coverage. I have used the primer for a while. This is the oil free version so it feels fresh and light on the skin. The primer is in creamy white colour and one may on first instance thought they are putting cream on their faces. Fear not! For troubled skin like mine, I dont even get outbreaks. So this is a plus!! 1. Very good foundation holding power! whether you are using liquid foundation like tinted moisturizers, just foundation, powder foundation or like me, using pure mineral foundation; you will love how well this foundation holds them on your face and lasts for hours! 2. Cream like texture makes it easy to apply with hand or with a sponge. Glides on like silk! 3. Comes in long tubes so gotta make sure you had closed well. Do not throw it into your bag without first putting into your makeup pouch. The cap may come of when it knocks against other items in your handbag. I thought I could use hand to apply this and that will be all. However when I do that, I realise that my skin is cakey and looks oily or shiny. I consulted one of the Sephora staff and her advise was : use a sponge to spread or apply the tinted moisturizer in dabbing movement. Press the sponge lightly on the skin with two fingers behind the spongeand turn your wrist to roll the sponge off the point you first placed on your face, as if you are dabbing off excess on your face. Indeed the look is more natural as if I am not wearing anything on my face! This must be followed by either translucent loose powder? Or in my case, Laura Mercier Smooth Focus Pressed Setting Powder which is matt and translucent. This will turn the tinted moisturizer to look powdery and soft. 1. Tinted moisturizer is indeed light as promised. Not too thick so its a good option for those with minimal blemishes on the face. Gives a natural look! 2. It comes on long tubes too so remember to put it in you makeup purse with your sponge before throwing into your bag. If you are always on the run, I would recommend powder foundation instead of liquid foundation. Liquid foundations such as tinted moisturizers can be difficult to apply for beginners plus you need to use a sponge. So busy bees out there, stick to powder unless you have oily skin. 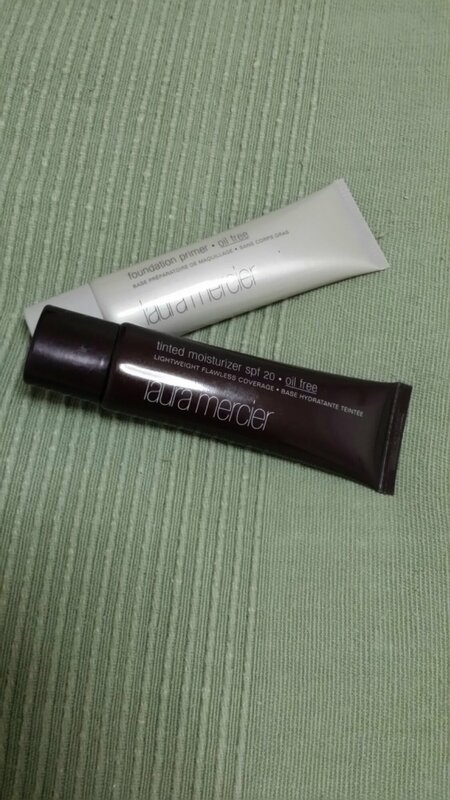 Else these two products from Laura Mercier are great for a natural look! This is a product for any beauty junkie or anyone who wants to try out light serums in place of the heavy eye creams. Personally, I am not sure of the effectiveness of eye gels, and I am definitely not a supporter of eye creams considering the humid climate that I am in. What I am truely “afraid” of are little oil nodules collecting under my eyes – eww! I started using this product more regularly when my beautician commented that she’s beginning to see lines under my going 40-year-old eyes. That spun me into panic mode and I began to apply this on slightly more regular basis (say once every 2 to 3 days – note: I do not have a habit of putting on eye creams or gels). Albion Skin Conditioner is an established brand. I am not sure if this is sold outside asia, but this was brought into Singapore less than 1 year ago. A very popular skin toner / conditioner, this bottle has proven to be as effective as SK-II in its own way. Albion Skin Conditioner comes in sheet mask (more concentrated) for those who like to put on masks as part of skin care routine. I usually get them as samples as part of my purchase from Albion. I would usually DIY by soaking a cotton sheet mask pellet into the lotion and put on my face for 10mins, or to use cotton pads (those that allows you to divide into thin sheets – maybe I should do a review of what I use in another post) and lay them on my face. 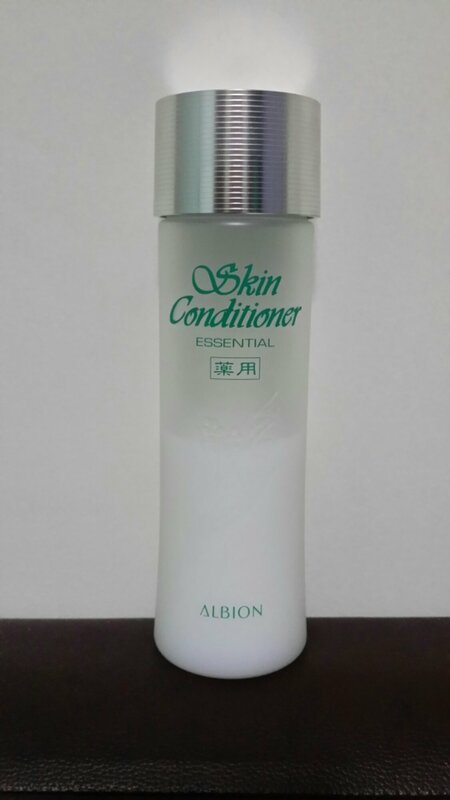 Albion Skin Conditioner can be used on its own, just like SK-II Facial Treatment Essence. I have not used their other product range, though I would love to try out their Albion Herbal Oil (its on my wish list!) 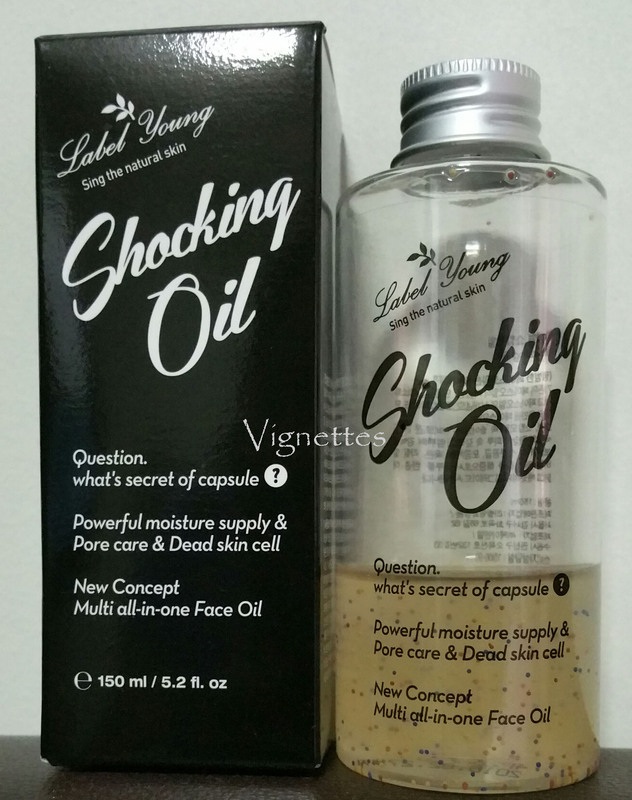 since I am a proponent for using oil on oil (ie oils on combination skin or oily skin). Would love to give a review on their Herbal Oil! I was introduced to facial oils by my beautician who had been with me for the last 3 years. I have combination skin and am always in the company of adult acne. When mu beautician firs handed me a small bottle of facial oil from italy, I noticed that it does not help to bring down redness on my skin, though the texture of the oil was watery with minty scent and of my liking. So I embark on the journey tp find the facial oil that worked with my skin. 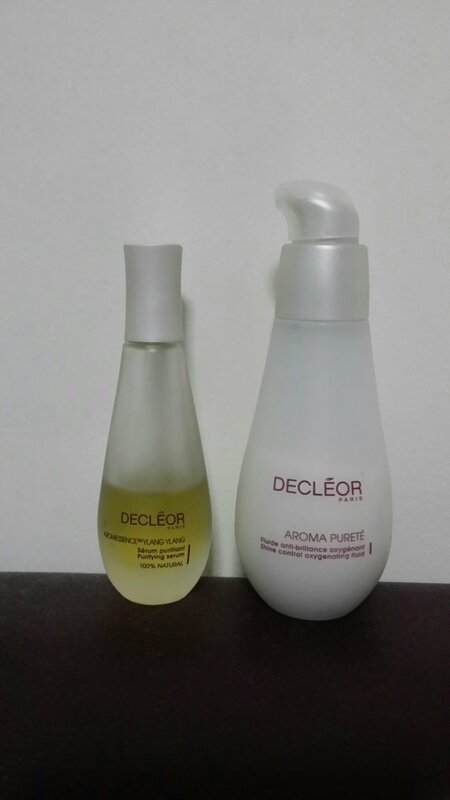 After much search on the internet, I went on to purchase Decleor Aromaessence Ylang Ylang. I also bought the Aroma Purete Shine Control Oxygenating Fluid coz the sales lady said these two are the best combination. Having tried a number of italian, french and japanese products, I must admit this is probably one of my star purchases. I noticed that the acne on my chin started to subside (I can finally see my chin free of acne) and the redness has started to be less visible. The scent of Ylang Ylang is mesmerizing and relaxes me. I also followed the video on Decleor website on how to apply the serum. Loved it! You can sew that I am nearing the end of my bottle so am definitely going to stock this up!